It's been a while since I did any linocut printing but I've always been drawn to it so I thought I'd have another pop at it. 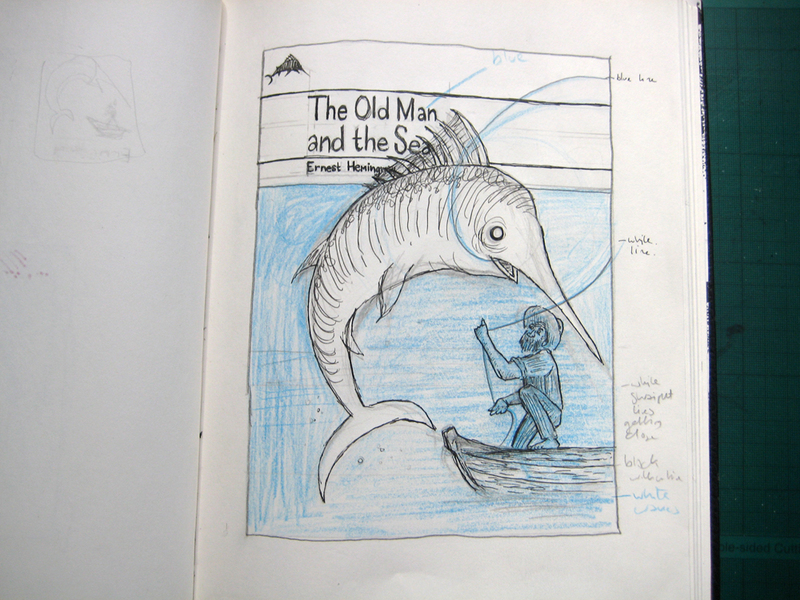 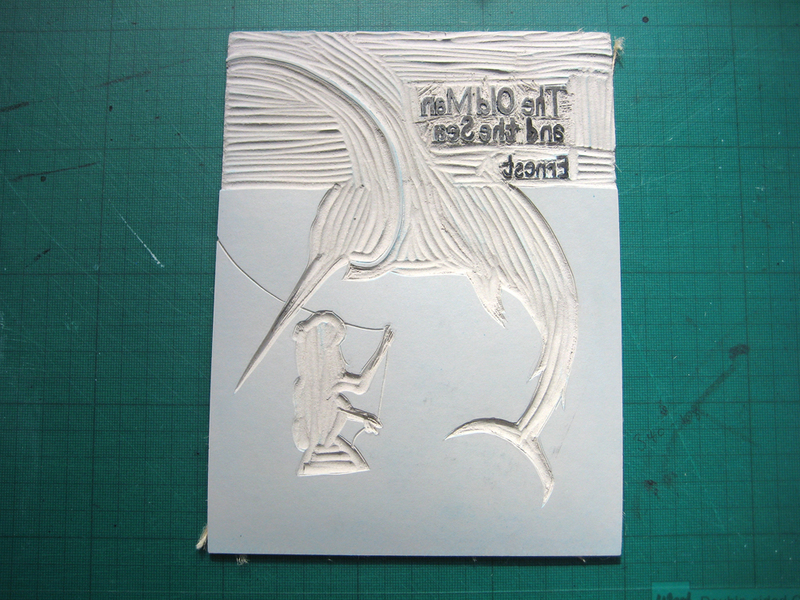 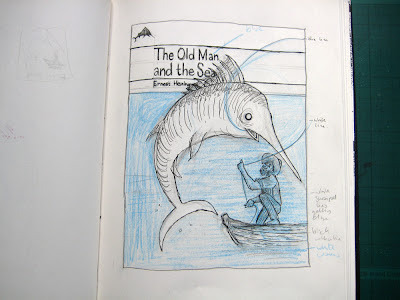 I decided to rework the cover of Hemingway's 'The Old Man and the Sea' for a two colour print. Unfortunately my actual attempts at printing weren't quite as successful as the linocutting sessions and I need to get a few bits of equipment before I try again but for now you can see my initial sketch and the two pieces of finished lino. 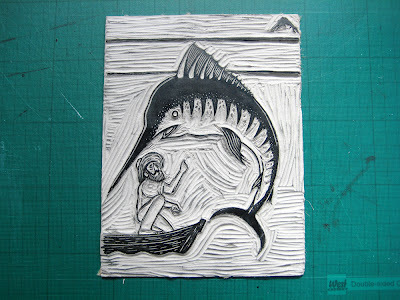 Given the problems involved in registering linocut prints I may make the final print part linocut print/part screen-print.